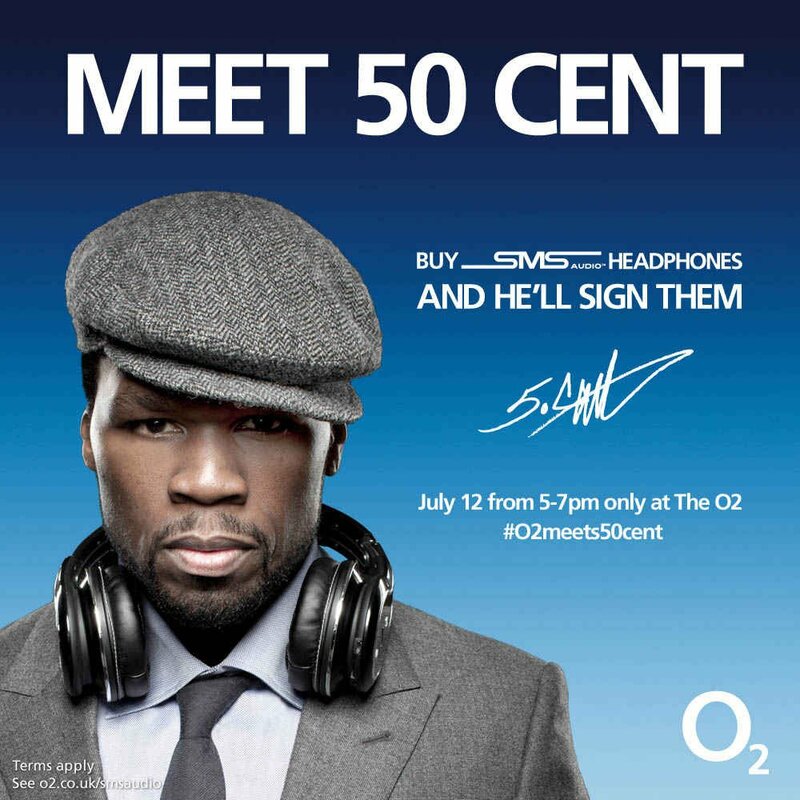 O2 has announced that it will be adding SMS Audio headphones by 50 Cent to its ever growing catalog of products. And, as an added bonus, if you purchase them on or before July 12th, you can get them signed by the rapper as he’ll be visiting The O2. The headphones will come in three different versions: STREET by 50 in-ear (£99.95), STREET by 50 over-ear (£199.95) and SYNC by 50 (£299.95). Customers can buy headphones now from the O2 website, or from the O2 store at The O2 in London. If you plan on buying online though, make sure you have enough time to receive them as you’ll need to bring them to The O2 to have them signed. Deliveries usually take 2 days and you can only meet 50 Cent if you bring your headphones, along with a proof of purchase. Signings will take place between 5pm and 7pm and though there will be headphones in stock at the store, supplies will be limited.